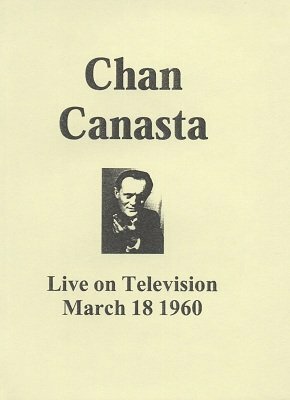 The download DVD is a complete Chan Canasta television broadcast from a 1960's BBC TV Show. You see a professional entertainer perform, how he controls his spectators, and how he builds up the effects. Chan first performs a few card effects and closes with a book test. In the beginning spectators take a few cards each and Canasta divines which cards each one has. Then two spectators take one card from a full deck each and they magically take the same card. Later a spectator takes two cards from a deck and puts each one in one of his pockets, without Canasta looking, but again Canasta knows which cards have been taken and the spectator can decide in which pocket each card is. Exactly as the spectator wishes the cards are found in the according pocket.